With the timing of Easter this year having it fall only two weeks before Mother's Day, I feel like stores aren't sure what to do about decorations. Do they focus on brightly-colored bunnies and candy and grass? Or should they have more pastel flowers and hearts? It seems to me that quite a few have elected to do a combination of both, which has ended up with displays covered in jelly beans and boxed chocolates that are great... for kids. When it comes to moms, we deserve real chocolate. The kind that is handcrafted and a luxurious experience from the moment it touches your tongue... if not before, due to the delicious smell. Which is why it's time to forgo the prepackaged, came-from-a-box-leftover-from-Valentine's-Day treats for Mom and instead give her something for Mother's Day that she is sure to love: mouth-watering handmade chocolate from Kaitlin & Kylie's. I had the extreme pleasure of writing a gourmet chocolate review for Kaitlin & Kylie's back in January and to say that I enjoyed it is a pretty big understatement. Christina's ten years of chocolate-making experience results in a combination of her talents, top-notch ingredients, and beautiful, 100% recycled packaging that is very difficult to put down once you've had a taste. 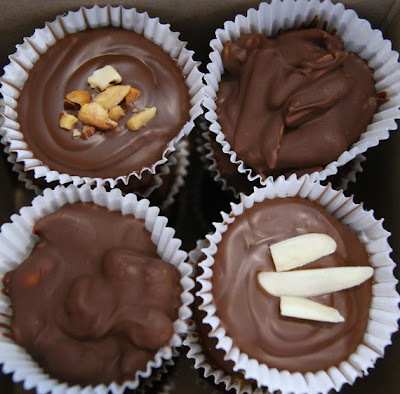 Offering goodies such as Gourmet Dipped Apples, Chocolate Drizzled Pretzels and, of course, her incredible Chocolate Cups, there is something for every individual taste. But for Mother's Day, Kaitlin & Kylie's has an even more amazing way to enjoy a variety of delectable treats in an absolutely beautiful display. Meet the Mother's Day Fit for a Queen Sampler. One pound of handmade, fresh-to-order goodies, this sampler includes everything Mom could ask for... and more. Even better, it is customized exactly to her liking! Packaged in their signature white box and decorated with purple ribbon and beautiful fabric orchids, there is even a place for a personalized message right on the label. Really, is there anything more that you could ask for in a perfect gift? All I would want with this is a comfortable chair and some peace and quiet and to sit back and enjoy the deliciousness! Well, maybe there is one way to make this gift a little better... how about a discount? 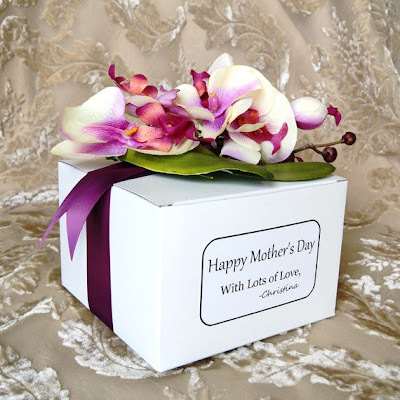 Right now the Mother's Day Sampler is on sale for 20% off its retail price of $49.99! But be sure to place your order by May 2nd for your goodies to be made and shipped in time for enjoyment on Mother's Day because you don't want to miss this! One lucky person will win the Mother's Day Fit for a Queen Sampler from Kaitlin & Kylie's! One pound of mouth-watering customized chocolate treats! To enter to win: Visit Kaitlin & Kylie's and tell me another of the delicious items available that you would like to give or receive as a gift this Mother's Day. 1 Extra Entry (per method) if you Like Kaitlin & Kylie's on Facebook, follow the Kaitlin & Kylie's blog with Google Friend Connect, add Kaitlin & Kylie's to your Etsy favorites (please leave your username for verification) and/or add your favorite Kaitlin & Kylie's item to your Etsy favorites (please leave your username and the item name for verification). Giveaway will end on April 29th at 11:59pm CST. Do me the favor of leaving an email address or making absolutely sure it is visible in your profile, I have to have a way to contact the winner. The winner will be chosen by random.org and announced here as well as emailed and will have 48 hours to contact me or respond to notification or a new winner will be chosen. This giveaway is open to residents of the continental U.S. only. A big thank you to Kaitlin & Kylie's for providing a Mother's Day Fit for a Queen Sampler for one lucky giveaway winner. The opinions shared are my own and honest if you really need to see more, click here to see how I roll. I entered the sleeping bag giveaway. I would like to try the English Toffee Gourmet Apple. mini carrot cake sampler! YUMNESS! Yum! 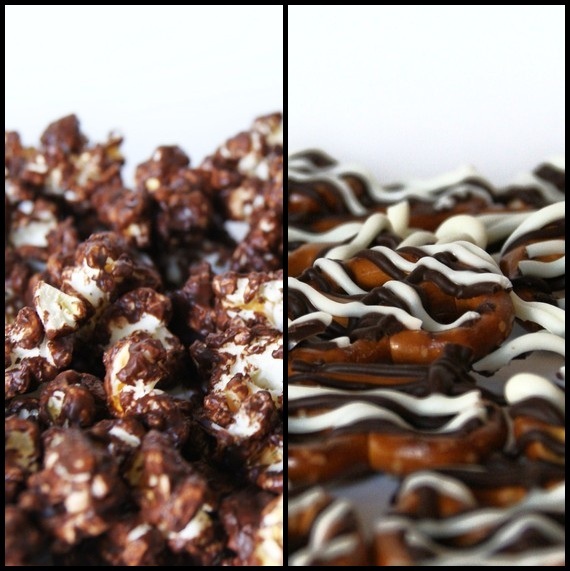 I would get the Double Chocolate Popcorn for myself and send Double Dipped Caramel Squares to my mother. Also entered the Swiss Colony Easter giveaway. Also entered the Apothica giveaway. Also entered the Freschetta giveaway. Also entered the Vintage Pearl Custom Jewelry giveaway. I would like to give the Lemon Zest Mini Bundt Cake as a gift. I'd love the milk chocolate smores! I also entered your Jenlinn giveaway! I would like to receive the Chocolate Peanut Butter Cups for Mother's Day. I entered the Swiss Colony Easter giveaway. I entered the Happy Easter Store giveaway. I entered the Fellowes P-12C Shredder giveaway. I entered the Pure Pearls Pendant giveaway. I entered the CSN $75 GC giveaway. The Lemon Zest Mini Bundt Cake and the Milk Chocolate S'mores are what I'd love to receive. I'd love to give the Double Chocolate Cherry Clusters. The Mini Carrot Cake sampler looks yummy! 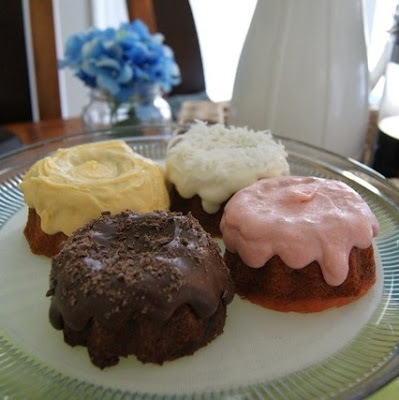 I would love the Lemon Zest Mini Bundt Cakes for Mother's Day. 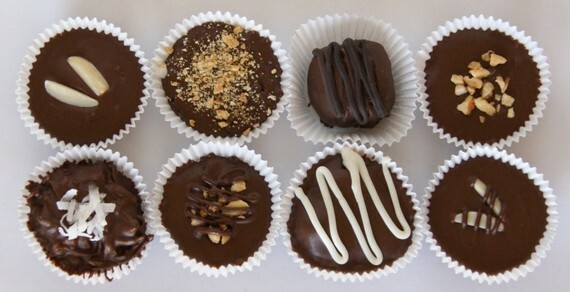 Hi, I would like to have the Chocolate Peanut Butter Cup! I entered the Name Frame giveaway. I entered the Jenlinn Sandals giveaway. I entered the Easeamine giveaway. I entered the Local Pages giveaway. I would like to gift the English Toffee Gourmet Apple. 1..email subscriber to Thanks, Mail Carrier. 2...email subscriber to Thanks, mail carrier. 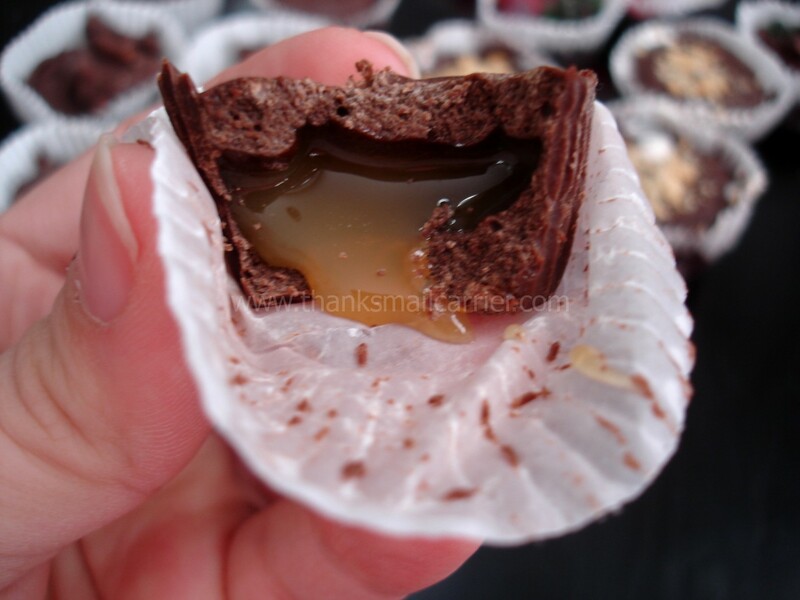 I would love to get the Double Chocolate Almond Butter Cups! 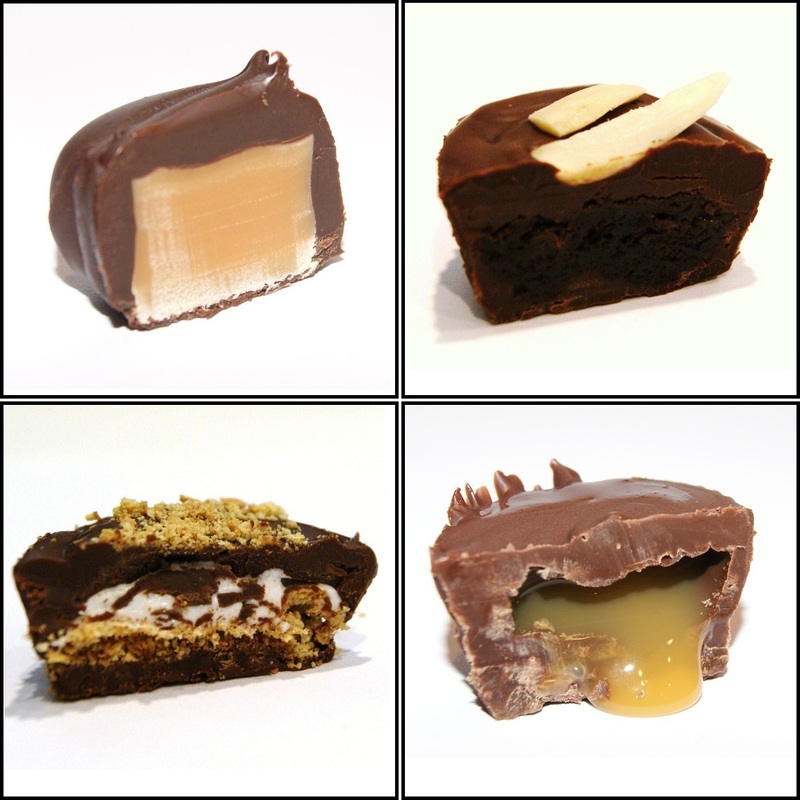 I would also love to give my mom the ultimate nut lover sampler! I would love to try the Double Chocolate Popcorn! I'd love to gift the Spring Petit Fours. I added Kaitlin & Kylie's to my Etsy favorites (susanlanai). The English Toffee Gourmet Apple looks delish! Kaitlin & Kylie's.....Chocolate, Chocolate, Chocolate...One of each. Can't go wrong. I'd love to try the English Toffee Gourmet Apple. Thank you for the chance to win! I am an email subscriber. Thank you for the chance to win! I entered the Gourmet Gift Basket .com giveaway. Thank you for the chance to win! DOUBLE CHOCOLATE CHERRY CLUSTERS! Yummy!